‘Single Shared Breath’ has been selected for the Skepto International film Festival! 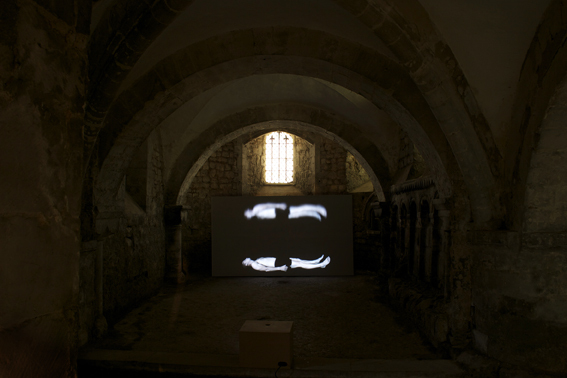 The festival will take place in Cagliari on March 28, 29, 30 and 31, 2012, with parallel screenings in Bologna, Florence, Milan, Naples, Perugia, Barcelona, Dublin on March 31 and at IED Madrid on April 11. 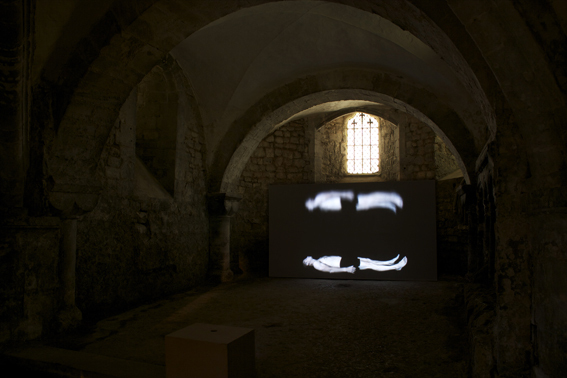 ‘Single Shared Breath’ will be screened on Friday 30th March in Cagliari. 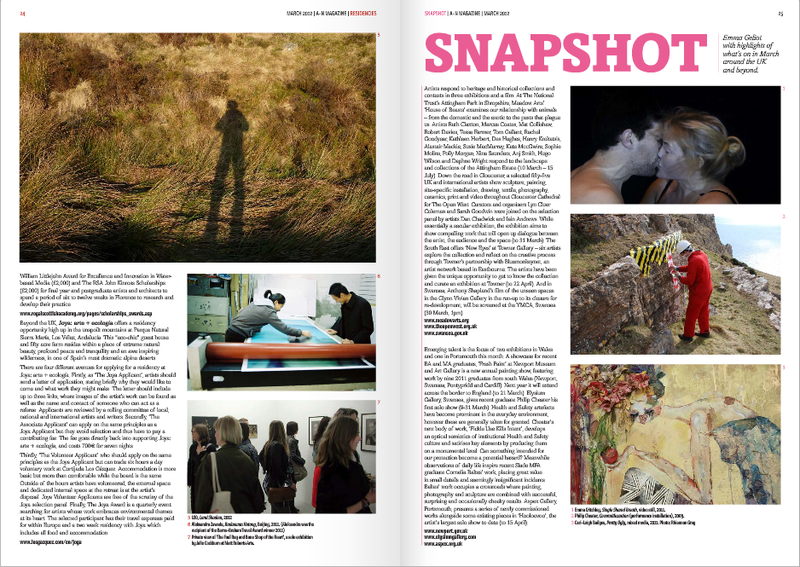 Link to article about The Open West exhibition…. I’m doing next month’s Brighton Mini Click talk on Tuesday April 3rd at The Old Market in Brighton & Hove. Doors are at 6:30pm and entry, as always, is free! Check out organiser Jim Stephenson’s blog for more details…. 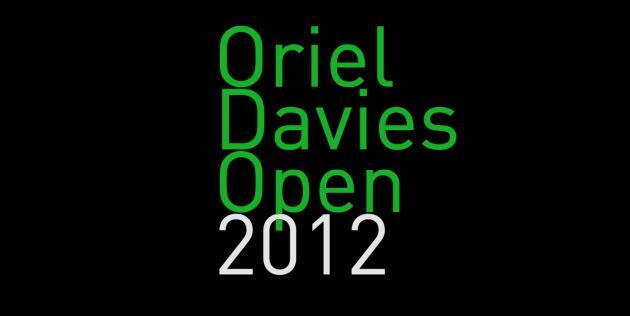 ‘Single Shared Breath’ just been selected for the Oriel Davies Open exhibition, which will take place at the Oriel Davies Gallery in Powys, Wales from 28th April – 27th June, 2012. 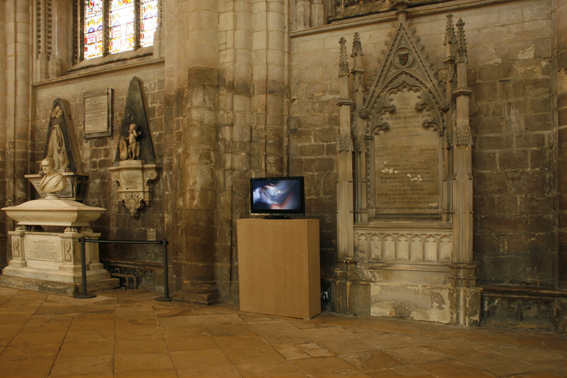 The Open West exhibition in Gloucester Cathedral opened this weekend. 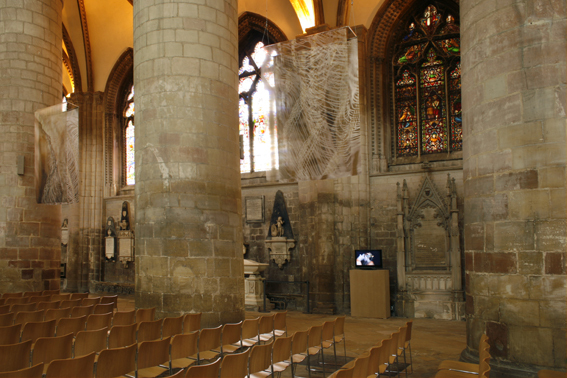 55 international artists have installed their work within the Cathedral, throughout the interior, the cloisters, the crypt and the internal gardens. We’ve had a great few days in Gloucester, I would definitely recommend seeing the exhibition if you can. 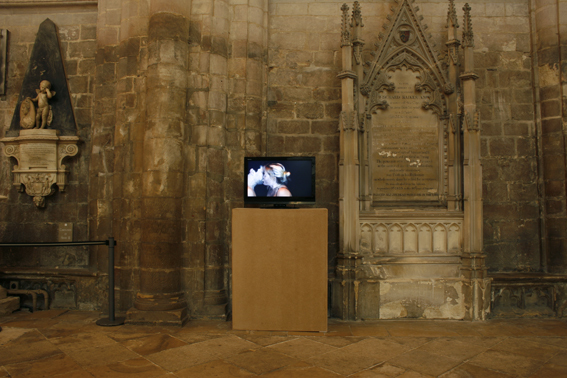 My video pieces Single Shared Breath and Reflection are both in the exhibition. Here are a few installation pictures.